To ease my winter doldrums, I'm adding some extra (chic) layers to my everyday uniform, starting with an extra long statement making scarf. Zara has a bunch of options, but I prefer these by Rag & Bone, Asos (and this one, too! ), Free People, and Burberry. I'd also like to give my wintry wardrobe an energizing boost with these warm and fuzzies by Ulla Johnson, Pixie Market, Gap, Gucci, and Velvet. 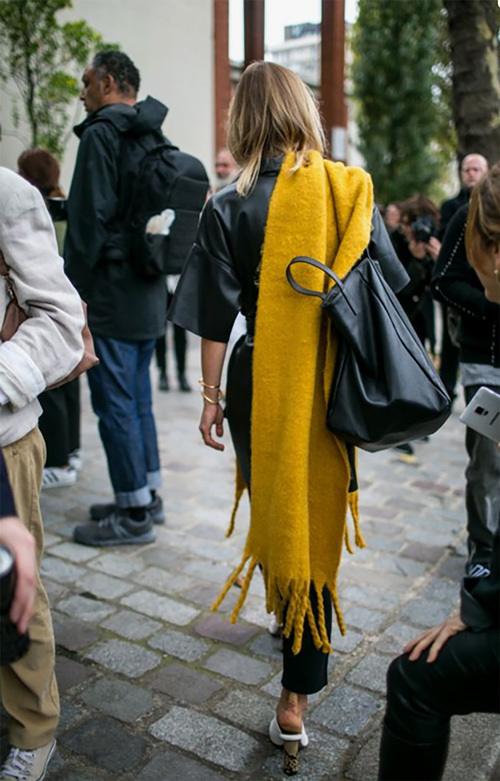 Do you know who makes the scarf in the photo? It is stunning. And her bag? Thank you. I would love to know who makes this scarf in the photo. Please let me know.